· Since I’m not looking at the same items in my closet day after day, they feel “new” when I get them out of storage. · By periodically doing an inspection of each item I am way less likely to encounter an unexpected fallen hem, missing button, or shoe in need of repair in the morning when I’m pressed for time. · As I rotate my closet to the next season, I see gaps in my wardrobe and can be discerning about how to add in new pieces or accessories. · There are fewer items in my closet, leading to fewer, but easier choices of what to wear each day. · What purpose does it serve in your wardrobe? · Do you like wearing it? · Does it fit well? If not, can it be altered (e.g., seam let out/in, hemline changed)? · Does it need to be cleaned, repaired, or polished? · Does it need to be replaced? For all other items, sort by which season you tend to wear the item, using fabric weight and color as an additional guide. No doubt you’ll identify a few items that you don’t wear year round but you do wear across multiple seasons. For example you may wear the same sweater in fall and winter. 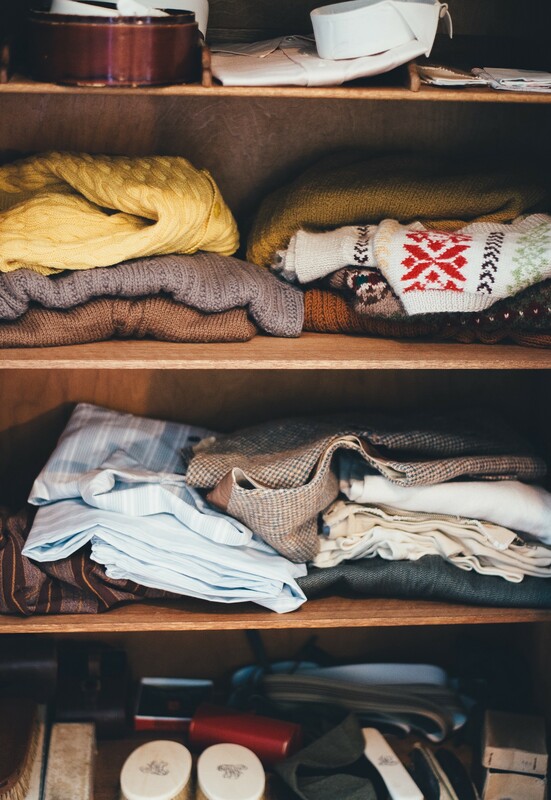 Assuming you have multiple sweaters, choose which season it more closely matches and put it in that pile/area. After you’ve sorted your items, you’ll have a sense of the volume of items you’ll be placing in storage each season and can research options. As a starting point, consider your need for under-bed storage bins, hanging garment storage bags, vacuum storage bags, and stackable closet storage bins. Don’t forget to look into shoe shapers, boot stuffers, and handbag and jewelry storage options. · How often did you wear the item? Why? · On a scale of 1 to 10, rank how useful the item is to keep in your wardrobe. · On a scale of 1 to 10, rank how much you like wearing the item. · How do you feel about wearing it next year? · Does it fit you well? · What condition is it in? · Is the item perfectly ready to wear as is? · Does the item need any additional items to complement it and make it more useful? For example, maybe you realize you could use a light sweater for layering. · Are there any gaps in your wardrobe for this coming season? · Are there any new accessories or pieces you’d like to look for to keep your wardrobe fresh or to work in a color or style trend?